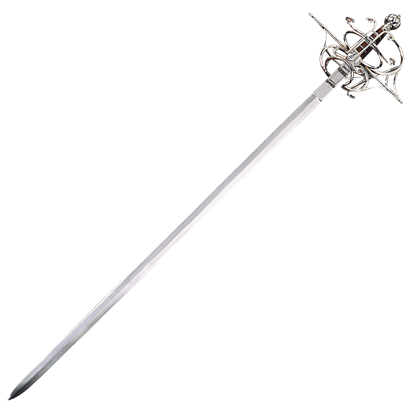 The Rapier was popular in the late 16th and early 17th century. 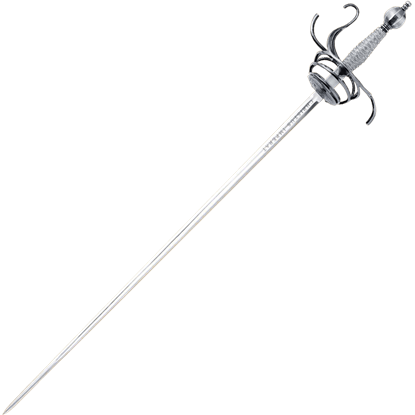 The rapier was a dueling weapon whose form was developed from cut and thrust swords. Its use was more brutal and forceful than the light sport fencing that we know of today. 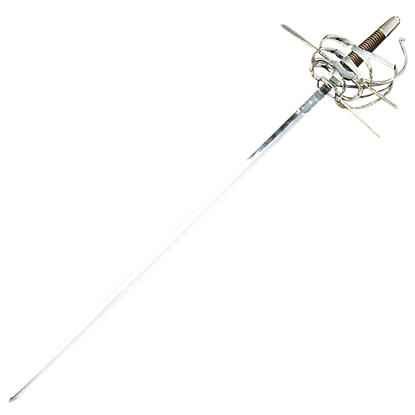 Originally, starting about 1470, any civilian sword was often referred to as simply a "rapier", but it quickly took on the meaning of a slender, civilian thrusting sword. There is also an English document from the 1500's that uses the term "rapier-sword" for advising courtiers how to be armed, indicating the understanding that there were new slender blades coming into civilian use. Eventually developing into an edgeless, ideal thrusting weapon, the quick, innovative rapier superseded the military cut and thrust sword for personal duel and urban self-defense. 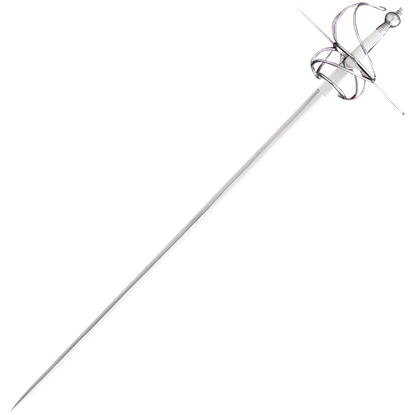 Being capable of making only limited lacerations, earlier varieties of the rapier are still often confused with the cut and thrust swords which gave gestation to their method. 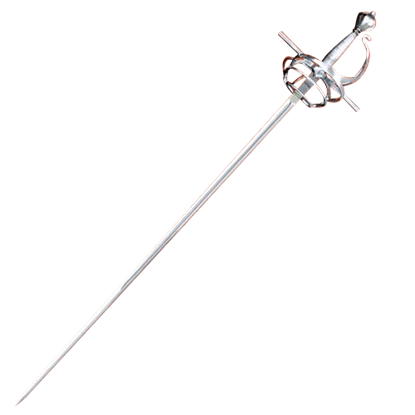 As a civilian weapon of urban self-defense, a true rapier was a tip-based thrusting sword that used stabbing and piercing, not slashing and cleaving. True rapier blades ranged from early flatter triangular blades to thicker, narrow hexagonal ones. Rapier hilts range from swept styles, to later dishes and cups. 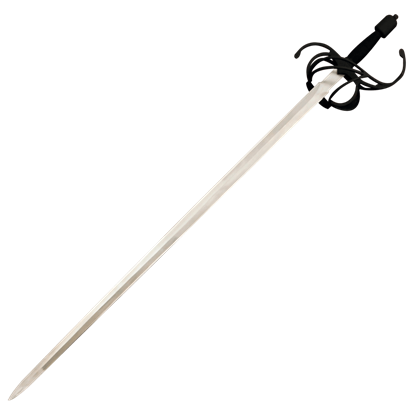 It had no true cutting edge such as with military swords for war. 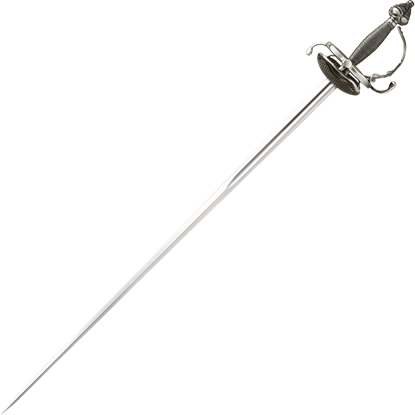 Given that training with a sword became a formal part of a gentlemans education during the 16th and 17th centuries, sword duels began to flourish. 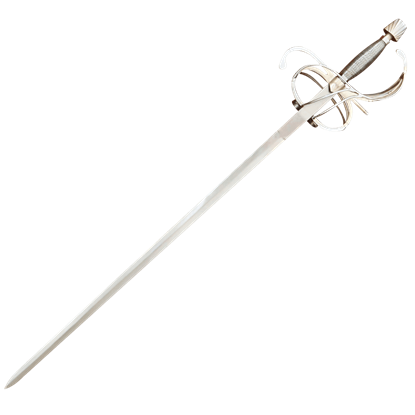 This Brass Crown Basket Rapier is a design that depicts the style of swords in this era. True to form, our Colichemarde Sword mirrors the Renaissance original with its extra-long, wide forte that abruptly tapers down to an acute point. The hilt features a decorative yet functional shell guard complete with finger loops.